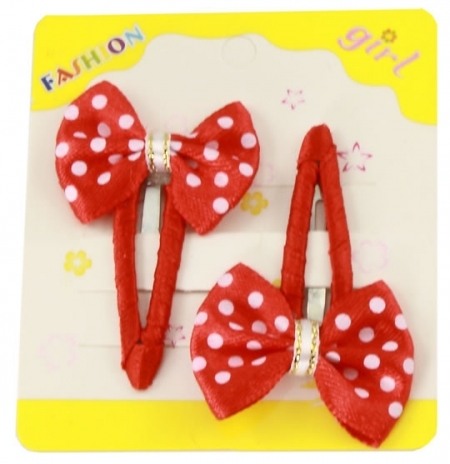 One pair of red with white spot hair bows. Firm grip suitable for babies with little or very fine hairs. Size 4cm length x 3cm width. Contains small parts. Supervision required when used on babies under 3 yrs old.